Jay Elmore has successfully represented Fortune 500 corporations, as well as individuals and smaller businesses, in jury trials, administrative proceedings, arbitrations, mediations and appeals. His practice encompasses the full range of litigation matters, from class actions to partnership and contract disputes, product liability, hospital law, personal injury, real estate, business torts, construction, environmental and franchise disputes. He has also served as a neutral mediator and arbitrator. Jay focuses on preparing for a successful outcome at trial while taking advantage of opportunities that may arise for negotiation and settlement. He has been called on by clients from around the country to defend class action matters in Georgia, Florida, Alabama, California, Ohio, Nevada, Texas and Connecticut, and has been successful in defeating class certification in cases seeking hundreds of millions of dollars from his clients. Jay is a frequent lecturer, and has published numerous articles on trial practice and business litigation issues such as class actions and arbitrations. He also serves as chair of Georgia’s ICLE Class Action Seminar and is an adjunct professor of law at Emory University Law School, where he teaches class action law. 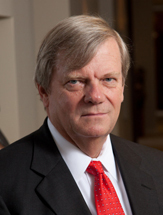 Jay has been lauded as a Georgia Super Lawyer each year since the award’s inception in 2004. He is also a director of a variety of community service organizations and was awarded the League of Women Voters Good Government Award for his pro bono legal work. Jay served on active duty as an officer in the United States Navy from 1970 to 1973. Lead counsel with respect to medical developer against medical device manufacturer in a multi-million dollar breach of contract dispute involving a licensing agreement for multiple products. Lead counsel with respect to a national teleservices corporation in defense of nationwide class actions. Lead counsel in connection with defense of class action against a national insurance company. Lead counsel in connection with defense of a nationwide class action against magazine subscription promoter. Co-lead counsel in connection with successful prosecution of nationwide class action against laptop computer manufacturer. Lead counsel in connection with defense of a national petroleum company with respect to environmental matters. Lead counsel in a variety of trials involving real estate partnership disputes. Lead counsel in connection with defense of various securities fraud claims, including defense of chief executive officer of a national corporation. Lead counsel in connection with defense of suits brought under the Petroleum Marketing Practices Act. Lead counsel in connection with lawsuits involving actions by and against governmental authorities. Lead counsel in connection with lawsuits by and against lending institutions.